This property has sold, thank you for your interest. Casa Bella . Translation in English “beautiful home”. 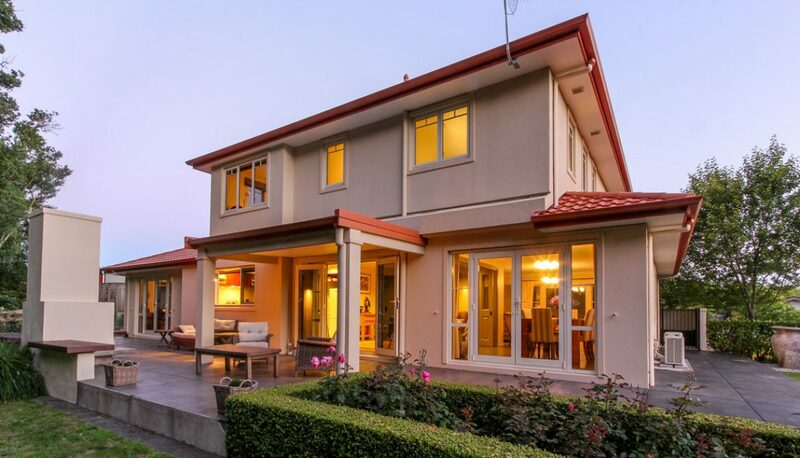 Take yourself to Italy with this charming family home set on 785 sqm (more or less) landscaped grounds by landscape architect Mike Mansvelt, complimented by NZ natives from the adjoining bush reserve. This 2008 home affords modern living with quality fixtures and fittings, double glazing, heat pumps, kitchen with walk in pantry, to the Miele appliances. Generous open plan family, dining and lounge which all flow to the outdoor alfresco areas.